Develop a cost effective, dedicated, timeline driven translation service proposal and corporate-wide rebranding initiative. GlobalDoc addressed the substantial new rebranding and subsequent translation requirements quickly, and provided an attractive proposal that won the Ricoh/InfoPrint business and trust. Ricoh/InfoPrint was under a very tight deadline with the desire to cost effectively manage the significant rebranding exercise. To facilitate a successful rebranding effort, we worked closely with the design teams to find a strategic, cost-effective solution. GlobalDoc utilized its extensive translation knowledge to ensure the design would have a positive impact on any culture and in any language. Our dedicated team gathered all existing marketing material, from white papers to data sheets, and consolidated multiple vendor strategies into feasible, realistic rebranding effort. We finalized the entire project in time and on budget in every supported language. 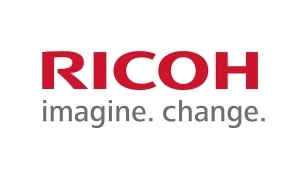 GlobalDoc delivered a cost-effective, on-time solution that enabled Ricoh/InfoPrint to move forward with their worldwide marketing communications initiatives without losing momentum in the marketplace. Having a consistent image and brand in all supported languages, Ricoh/InfoPrint stays competitive, and realizes a highly successful win-win partnership with GlobalDoc.